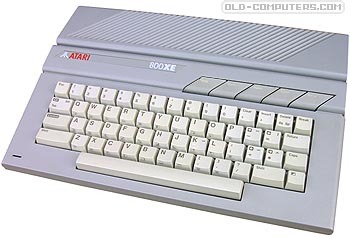 The Atari 800XE was the last 8-bit machine produced by Atari. It was almost the same machine as the 800XL with a case almost the same as the 130XE. It was only sold in East European countries, mainly Germany and Poland. The main hardawe difference with the 800XL was FREDDIE, a new memory management custom chip (also found in the 65XE) allowing to address up to 128 KB of RAM and to better share RAM area with ANTIC, the graphics chip. see more Atari 800XE Ebay auctions !